More than 140,000 people are estimated to live in this remote region and only 20% can read and write. Most of them live in villages on the sides of the steeply sloping mountains that divide the region into a series of sharp valleys. Their main crop is dry mountain rice with some maize. The health of the people is poor due to various factors such as diet, soil deficiency, substance abuse, remoteness, physical ailments due to harsh and constant manual labour, animistic beliefs imposing destructive rules and poor housing conditions, amongst others. Over time, the Lua migrated to Thailand from neighbouring Laos, but still retained strong connections across the border. Regular fighting between the Thai and Laotian communists during the 60s and 70s resulted in the Lua people having their culture largely destroyed, particularly those under communist control. The Nan province lay in part of, what was known in the 60s as, the opium growing ‘Golden Triangle’, which had a huge impact on their culture. 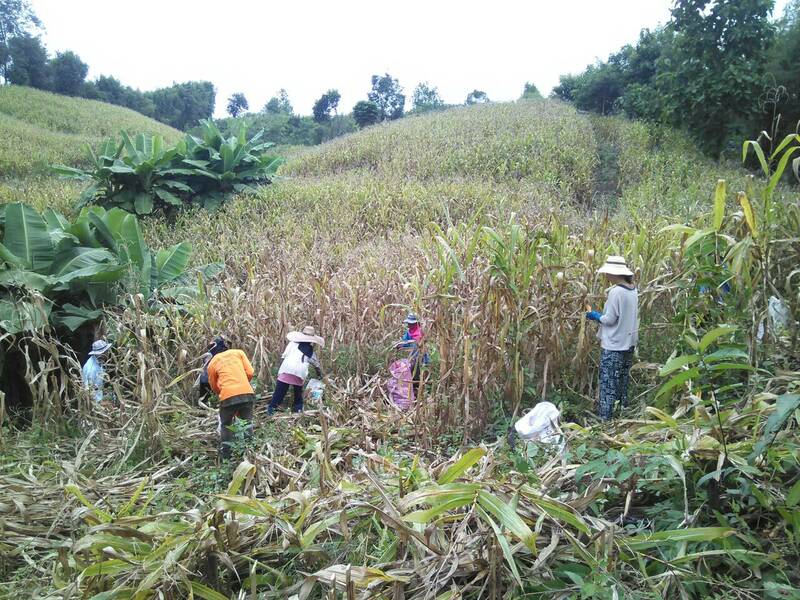 Due to insufficient rainfall recently, rice harvests have been affected – forcing many of the younger people and parents to leave villages and head to the cities to find limited manual work (with poor pay and conditions). This has affected the elderly people left behind, who must care for the younger children. Many older villagers are often neglected and live on very limited food supplies, in cold and difficult circumstances. In present, Lua people are a minority cultural group native to Laos and significantly populated in Laos, Northern provinces of Thailand (Chiang Mai, Mae Hong Son, Nan) and the United States (the states of California, Minnesota, Tennessee, Washington, Iowa and Illinois). Following the Vietnam War, many Lua families escaped Laos to seek refuge in the Luang Prabang Range area of Nan Province across the border in Thailand. The Lua have been in Chiang Mai the longest of all hilltribes. They are thought to have originated from the Lawa who were pushed into the hills by the men from Haripunchai and the Tai. Probably the least known of the northern Thailand mountain minorities the Lawa are probably the most interesting. The Lawa were the first people to inhabit the Chiang Mai valley in historic times. Today the Lawa have either fully assimilated into Thai society as in some villages in the Chiang Mai city area and only retain some of their language, or they have been marginalised into hilltribe villages in the Mae La Noi and mae Chaem areas. They might sometimes be seen in the market at Mae Sariang. These hilltribe Lawa are mixing and intermarrying with the neighbouring Karen. They are not migratory, like many of the hilltribes, but live in settled villages that have been there for sometimes hundreds of years. Most Lua people speak Thai language as their first language even they have their own languages which depending upon their habitats. The economy of the Lawa is primarily based on agriculture such as rice. They use an innovative process of terraces rotation systems to produce their crops. This technology makes them fairly successful at cultivation. 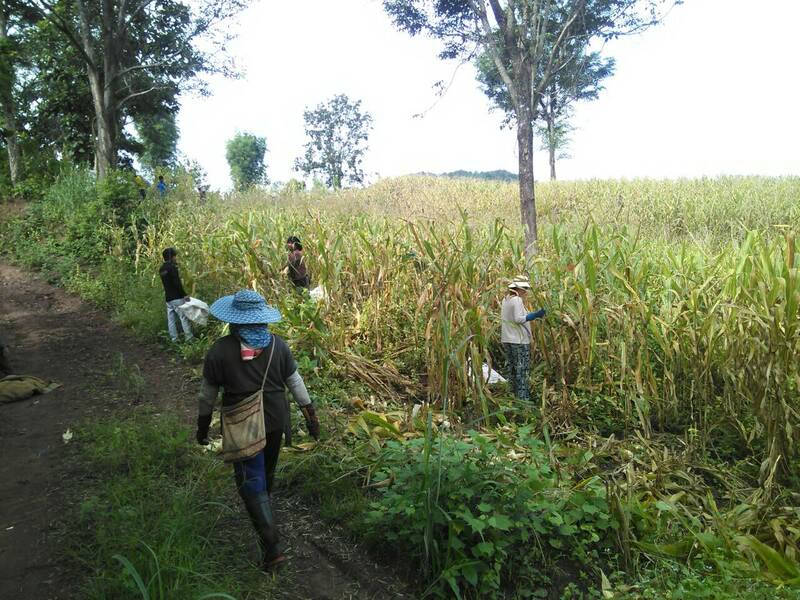 They cultivate wet paddy rice and sell vegetables and forest products to the local markets. The Lawa practise shifting cultivation of the rotational type and are skilful in making wet rice terraces. They are recognised as being the most conservation – minded land users in the highlands. The marital style of the Lawa is monogamous, which is pretty traditional in this part of the world. They are also traditional in the sense that their descent is traced matrilineal. Once a Lawa girl gets married, she will begin to wear her hair in a turban. The skirt and blouse of maidenhood is replaced with a long fawn dress. All women in the Lawa tribe wear the yellow and orange beads regardless of marital status. The eldest son needs to build a new family home by himself after marriage, but the youngest son will inherit his parents’ properties and take care of his parents through the life. You will often see Lawa women smoking tobacco from a pipe. They believe in good and bad spirits and profess a belief in Buddhism. Although many have adapted their lifestyles to that of a Buddhist, they are generally animists by tradition, and ancestor worshippers.Many of the Lawa have found ways to adapt their own religious beliefs to that of Buddhism. Buddhism lends itself well to this, as it sometimes considered more of a philosophy than a religion. As for traditional animists, they tend to have very nature-oriented religious beliefs. Animists believe that every living thing on Earth possess a soul, including animals and plants. Animists are for the most part, descendents of ancient earth based religions. It is likely that most all cultures were at one point, animists. This is still a very popular religion among indigenous groups of people all over the world, as well as some non-indigenous groups.